بۇ ئالدىن كۆزىتىشنىڭ چوڭلۇقى: 800 × 545 پىكسېل. باشقا چوڭلۇقى: 320 × 218 پىكسېل | 640 × 436 پىكسېل | 1,024 × 698 پىكسېل | 1,467 × 1,000 پىكسېل. 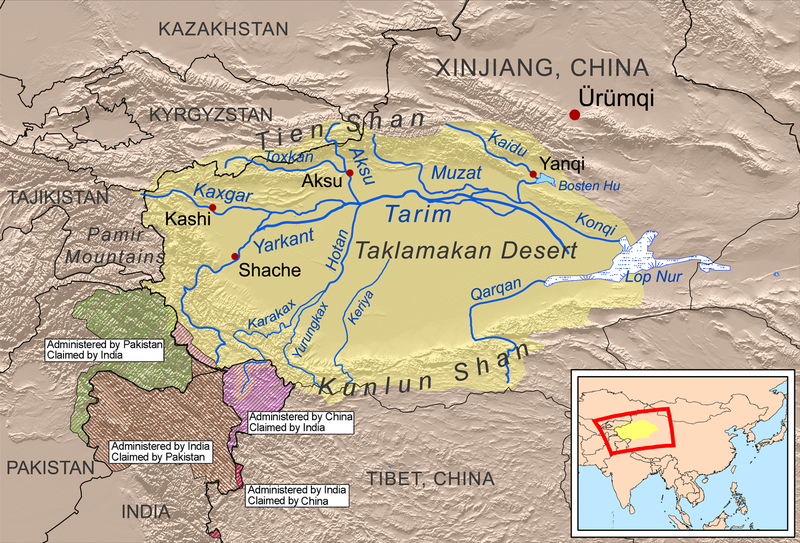 This is a map of the Tarim River drainage basin. Note that river courses shown crossing the Taklamakan Desert are usually dry. مەنبە Own work using Digital Chart of the World and GTOPO data, labels based on GEOnet.